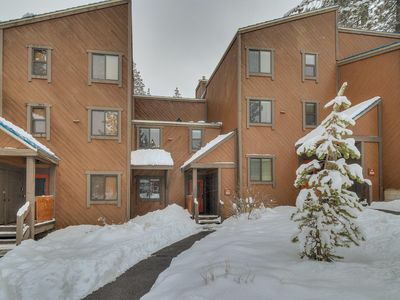 Gorgeous 3 Bedroom Condo in the Heart of Northstar Village! Instant Memories! 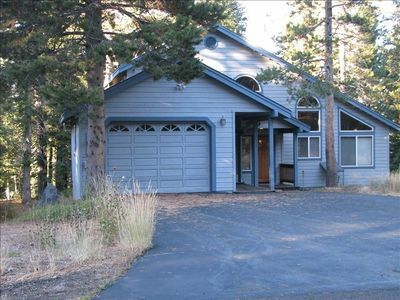 This condo is a beautifully maintained mountain resort home. 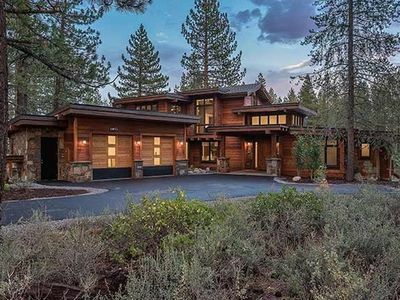 Located in the heart of Northstar Village it offers views from the skating rink to mountains beyond. With the morning sun on the decks, the chance to enjoy the views before your day's activities is a special feature not shared by many. Park your car in the heated, underground garage and take the elevator for quick, easy access. 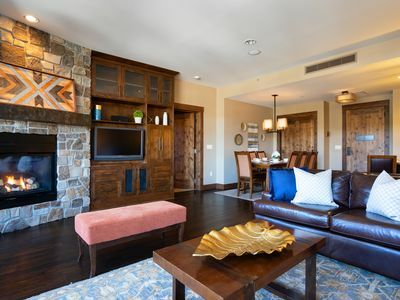 Ski lockers, a gym, and hot tubs are part of this condo's "in building" amenities and a separate recreation center offers a heated swimming pool, game room, sauna and more! 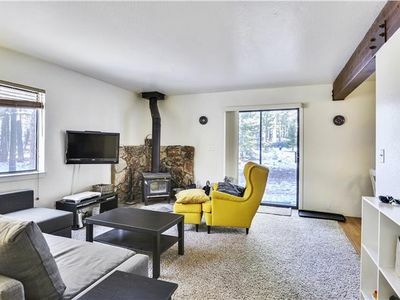 CUSTOM LUXURIOUS CONDOMINIUM IN THE HEART OF THE VILLAGE - This is a beautiful, luxurious condominium end unit with 1955 square feet of spacious living space. 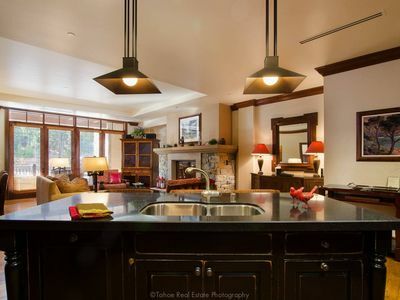 This 4th floor deluxe residence is located in Iron Horse South and offers two spacious private balconies with fabulous views of the village plaza overlooking the ICE SKATING RINK and PERFORMING STAGE and the other balcony the Carson Mountain Range. 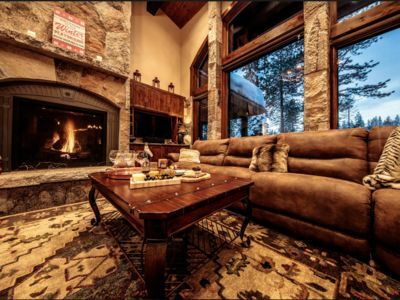 This is a ski-in & ski-out condo located next to the new chair gondola which accesses the mid mountain and the fabulous Ritz Carlton. Inside you'll find custom cabinetry, stainless steel appliances, and a gas range in the premier chef's kitchen fully equipped for all of your cooking needs. Other features include granite countertops and slate floors. 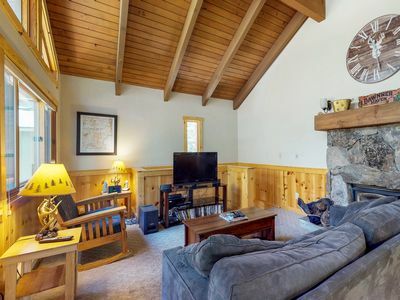 Warm up by your own cozy fireplace and watch TV with a large plasma TV with surround sound in the living room & LCD television in each bedroom, DVD’s, wireless internet. 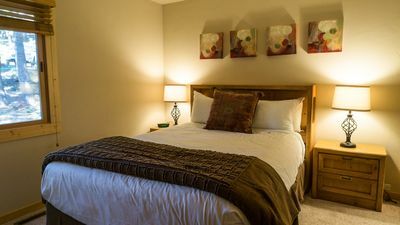 Full-size washer and dryer is conveniently located inside the residence. A safe is present for your valuables. Soak and relax in your master bath jacuzzi tub after a long day of skiing or hiking. 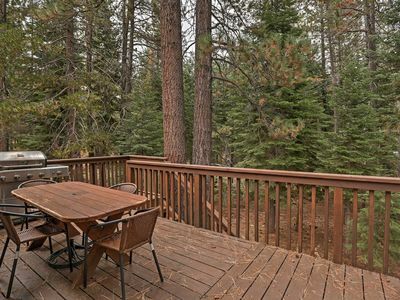 Enjoy family fun for everyone right outside your front door! Northstar village is home to the glamorous ice skating rink in the winter and roller skating in the summer, cozy gas fire pits located all around the skating rink (smores for the kids), ski school, bungee swings, award-winning Mikuni's Sushi restaurant, Rubicon Pizza Co., Earthly Delights featuring homemade comfort food, Chocolate Bar offering gourmet desserts and more, Scoops ice cream shop, movie theater, retail shops, massage services, and much more located just steps away! With this rental, you'll have access to the Village Recreation Swim and Fitness Center. Stretch out your muscles with a few laps in the heated saline pool, relax and unwind in one of the outdoor hot tub spas, steam room and fabulous shower facilities. Set the kids free in the game room or incorporate your fitness regimen into your vacation at the gym. The Recreation Center includes an adult quiet area, aquatic exercise classes, swim lessons, and children's activities. Parking is in a heated unit under the building. A ski locker is also provided to safely store your ski equipment and additional outdoor storage. 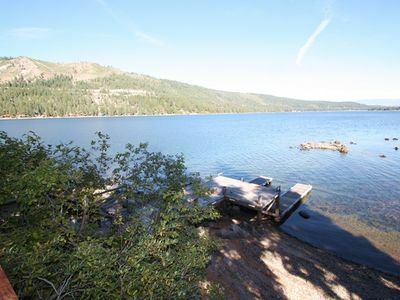 In the summer, it is just as wonderful to be at Northstar! 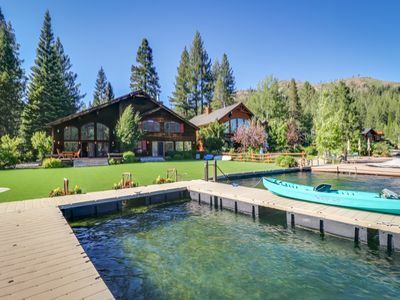 Enjoy world-class golf at Old Greenwood in Truckee (featured in Marin Magazine) or the Northstar Association golf course is minutes away, as is miniature golf along the beautiful Lake Tahoe. 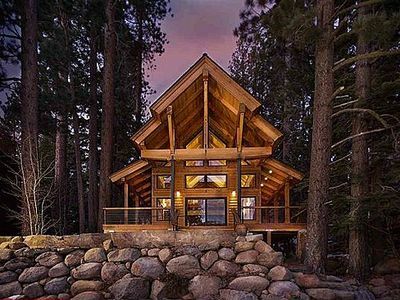 Other options include Northstar Resort Stables also offers horseback riding for the whole family and the Apex ropes course. 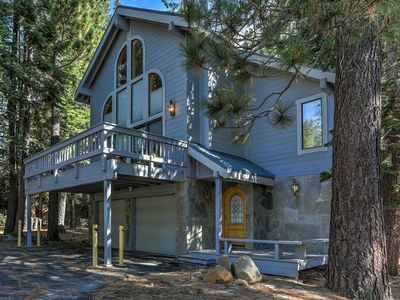 Some of Tahoe’s best hiking and mountain biking is right outside the door. A sandy beach at King’s Beach State Park and beautiful Sandy Harbor just a 10 minute drive away. 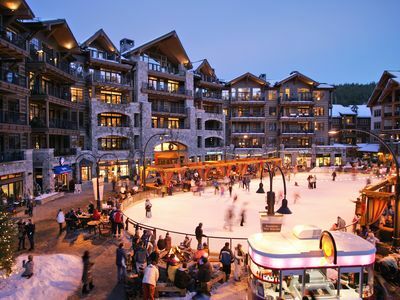 This is an amazing destination resort with accommodations and amenities you won't want to miss! Treat yourself to the vacation of a lifetime! 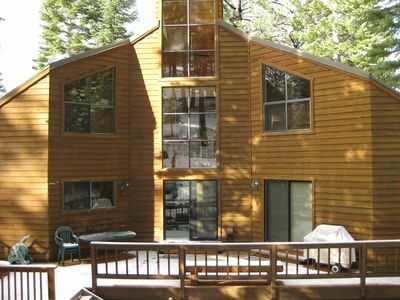 Room Rates do not include a 10% mandatory California occupancy tax equal to the rental & cleaning rate. 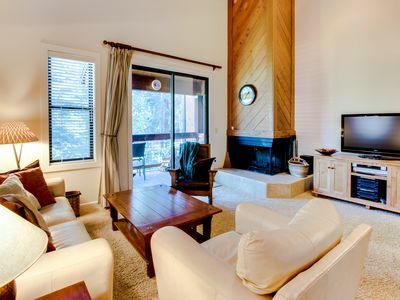 A refundable /damage deposit of $ 500 or 10% of total rental (whichever is greater) is due upon booking. CHECK IN TIME IS 4:00 PM and CHECK OUT TIME IS 10:00 AM. ***Please note, the grills are community grills located by the play structure outside and are not available for use during the winter months. 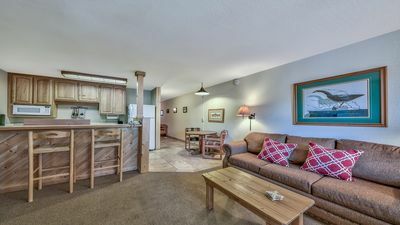 Dog-friendly condo with shared pool, hot tub and great entertainment! 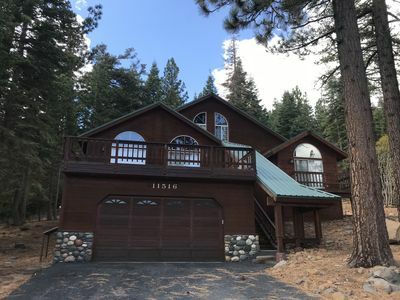 Double Decker: 3Br/3.5Ba with Large Deck and Hot Tub! 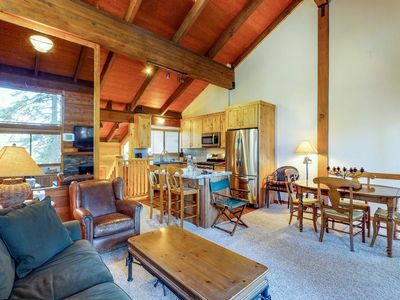 Cozy condo w/ mountain views, free shuttle & shared pool, hot tub, sauna & more! 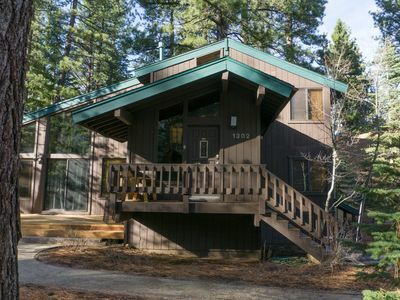 Cozy 2 bedroom condo-dog friendly!